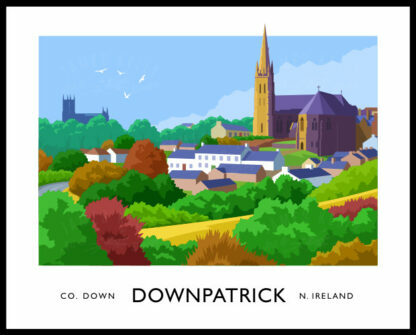 Down Cathedral and Downpatrick viewed from across the River Quoile by the ruins of Inch Abbey. 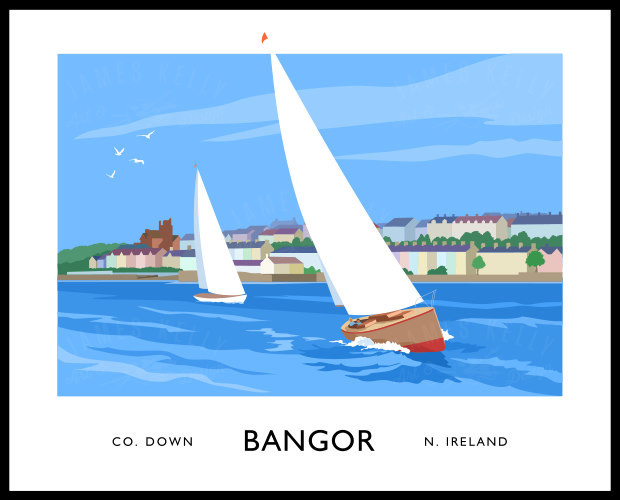 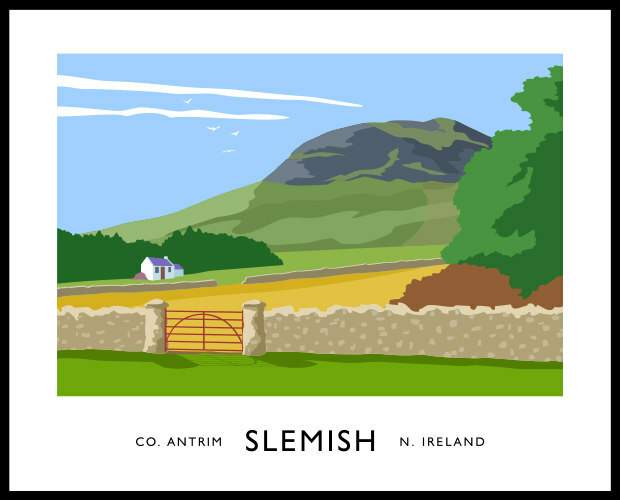 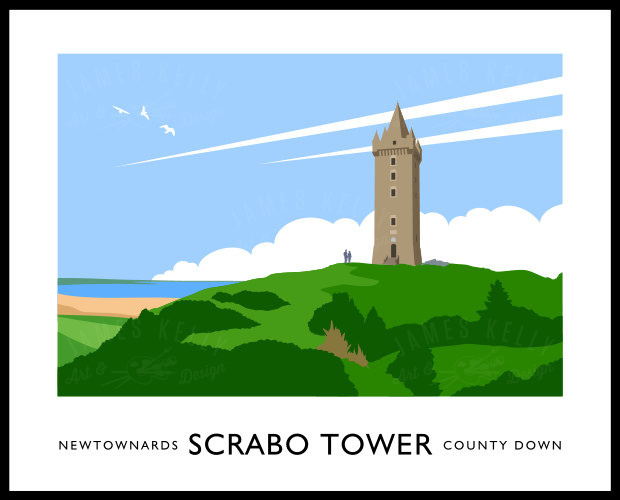 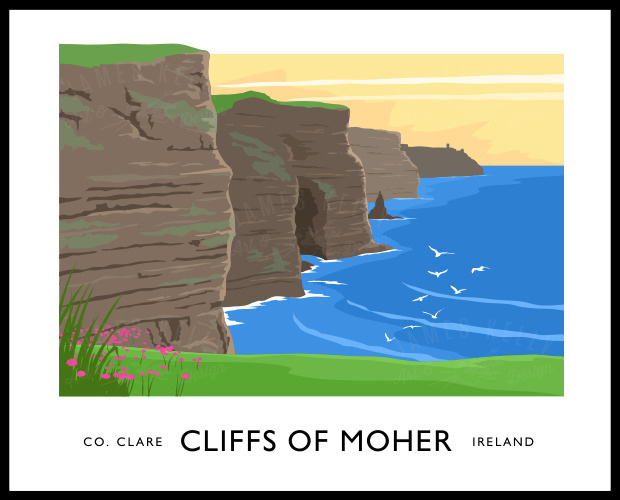 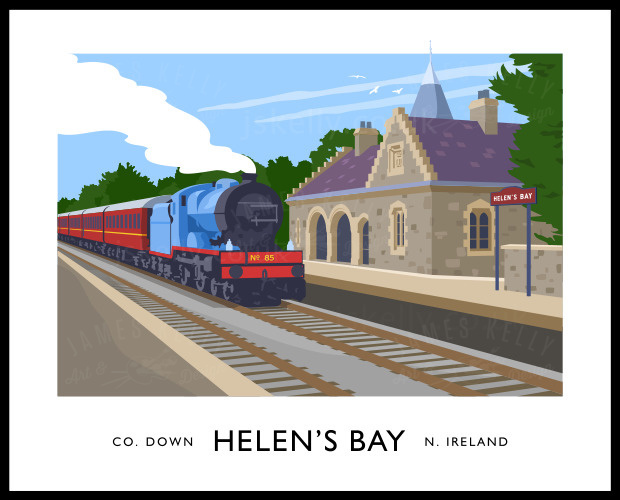 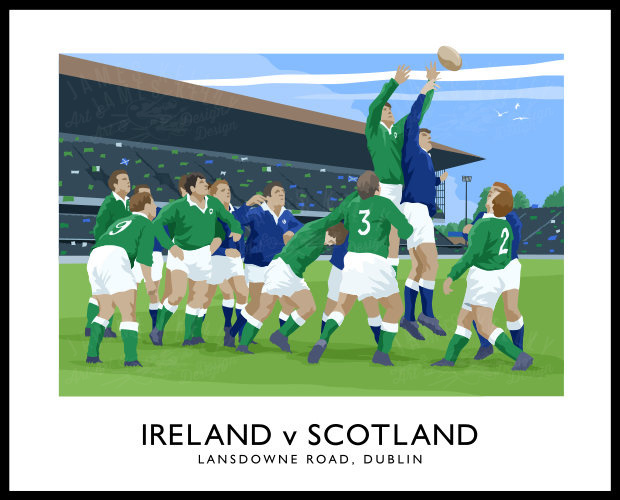 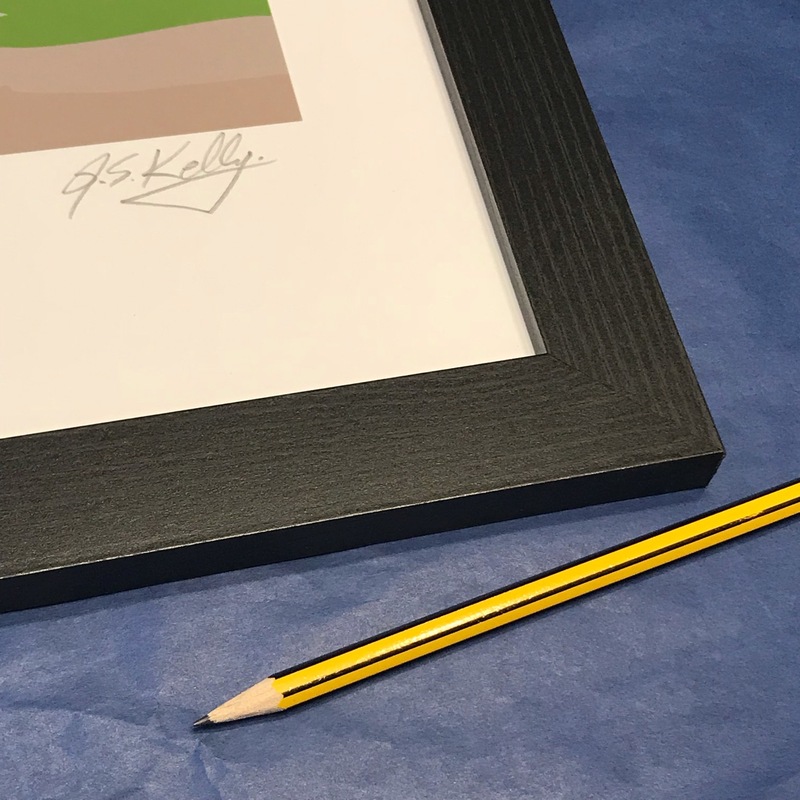 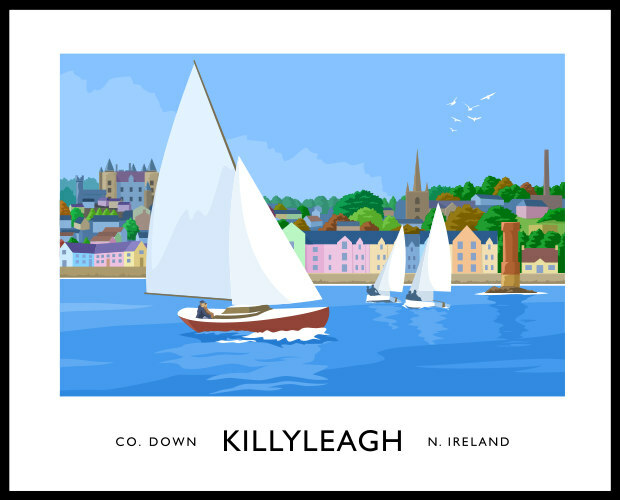 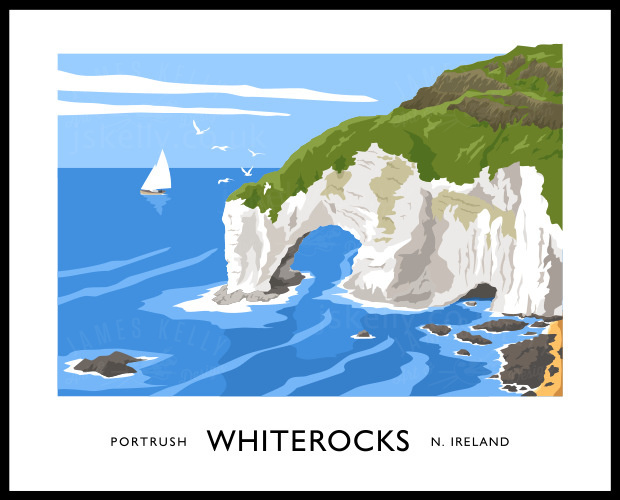 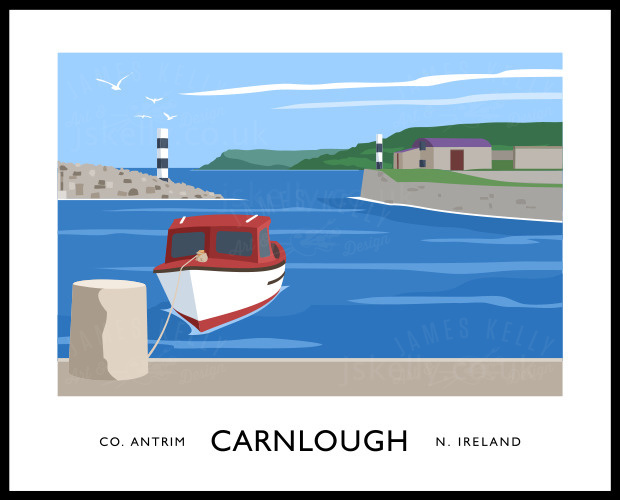 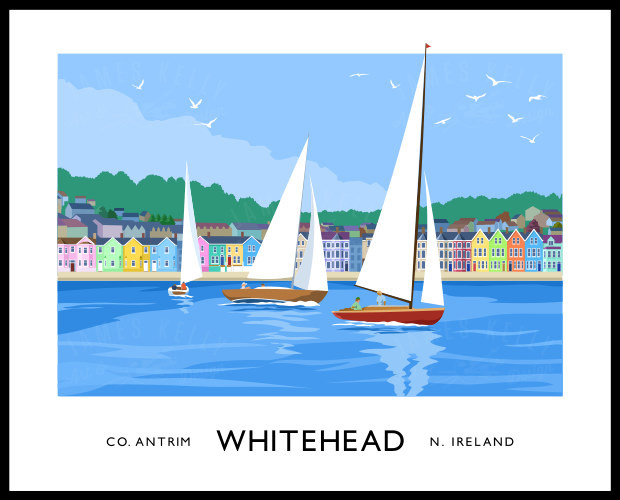 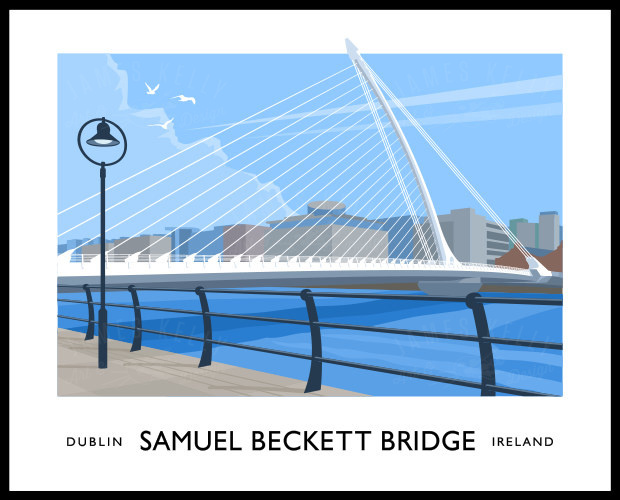 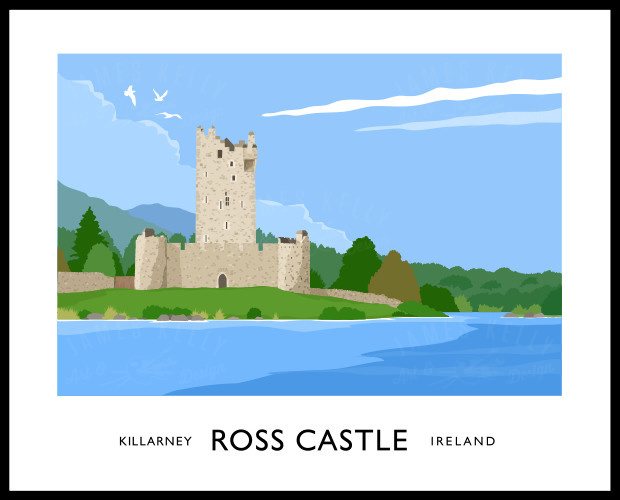 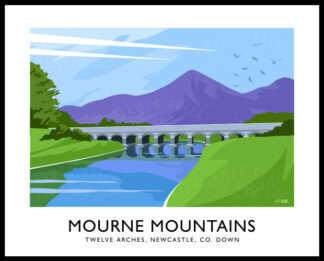 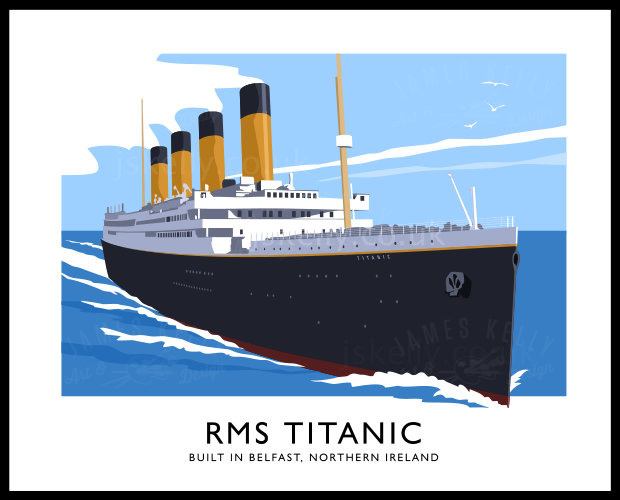 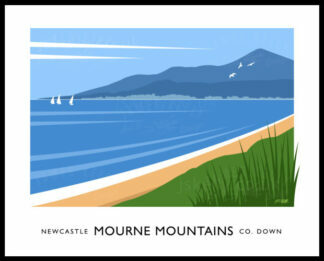 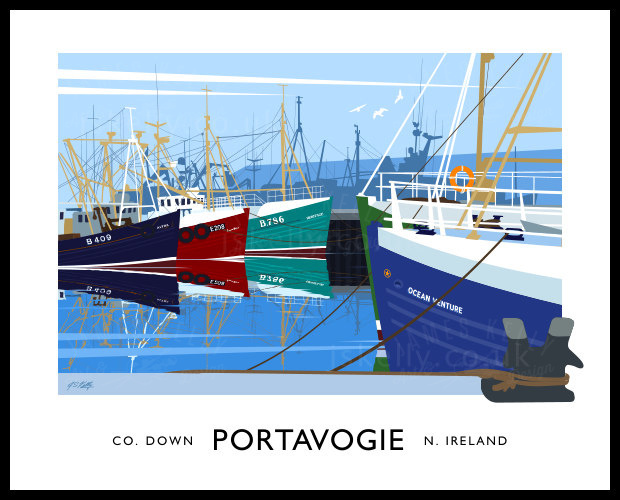 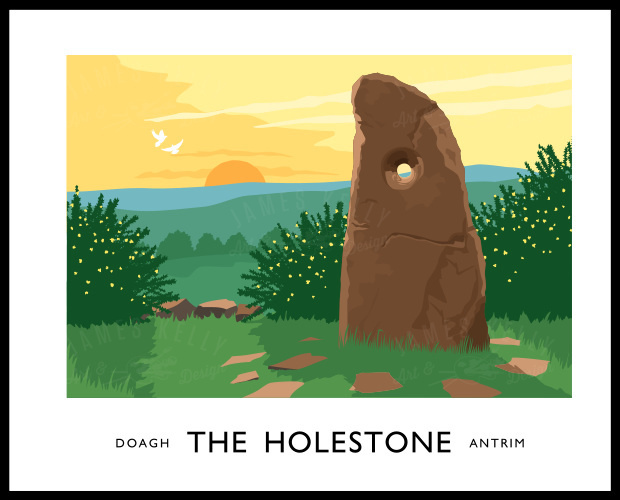 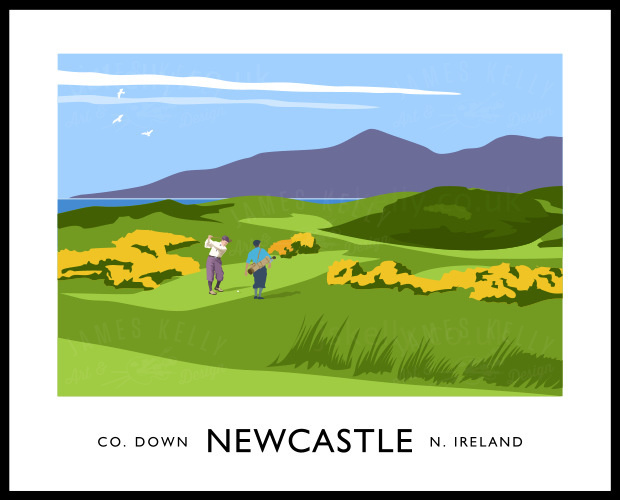 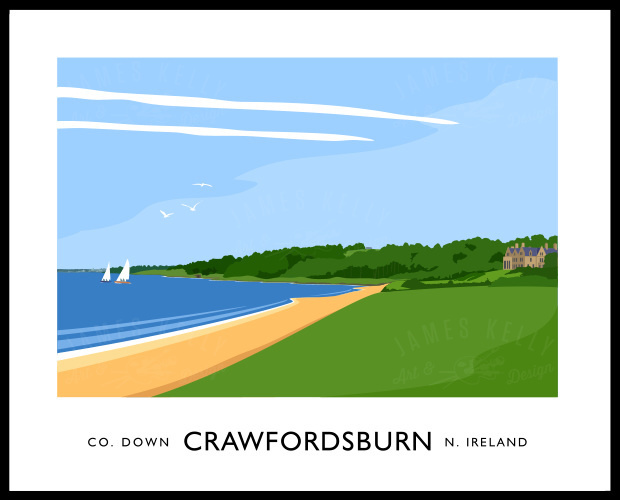 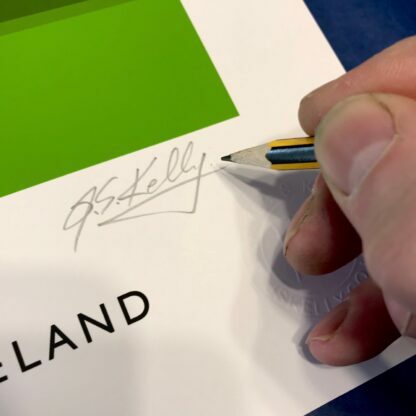 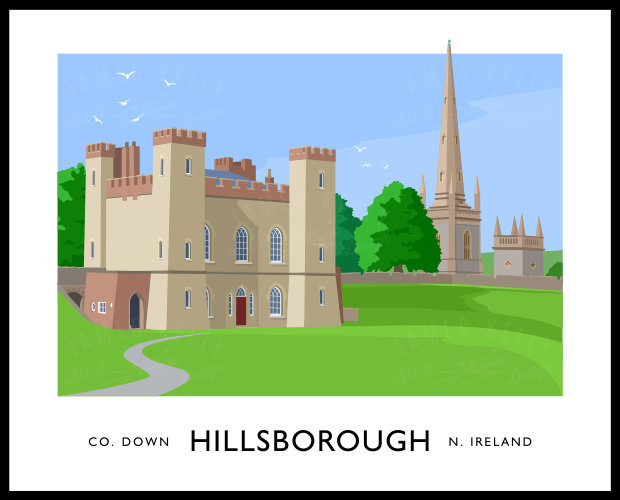 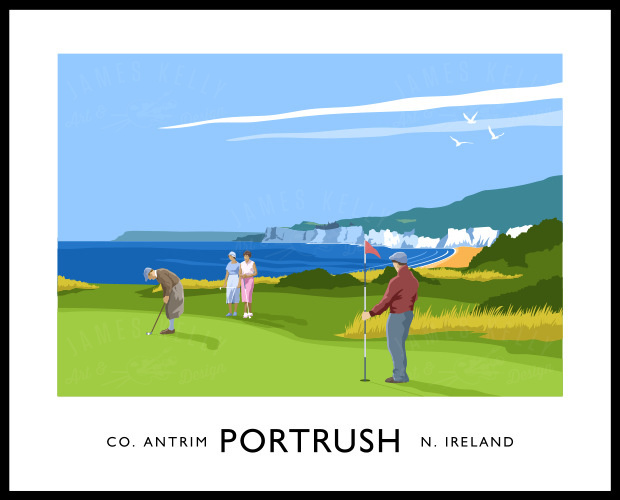 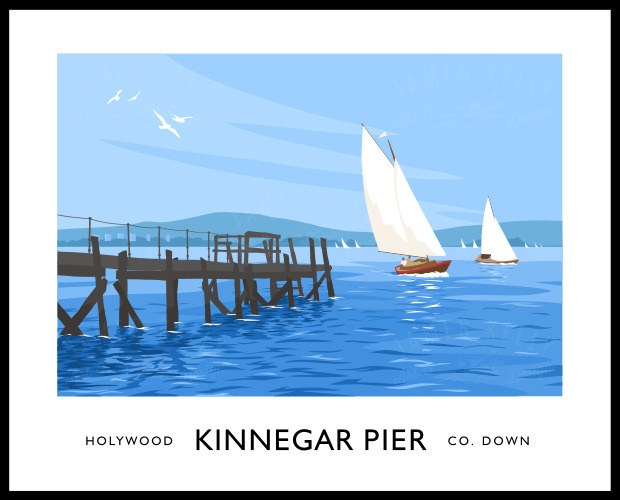 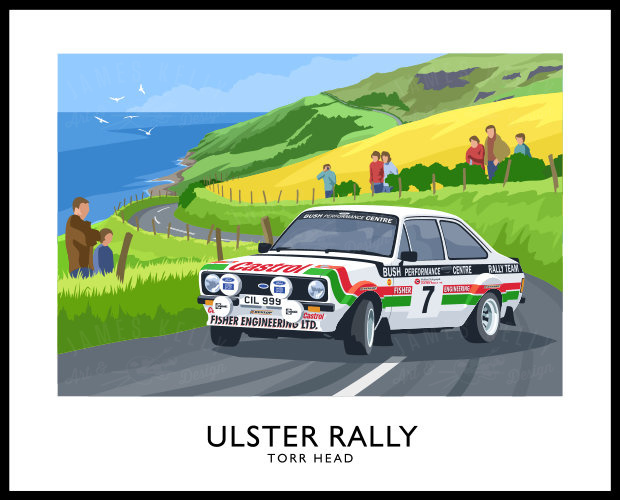 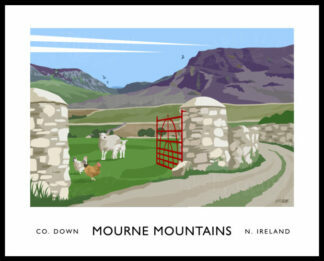 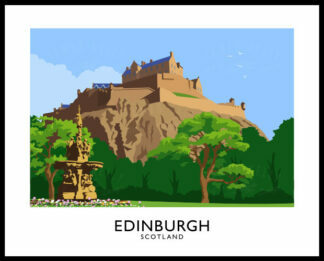 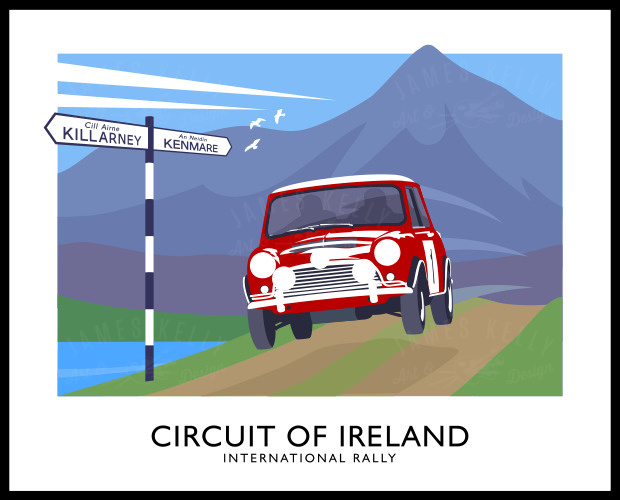 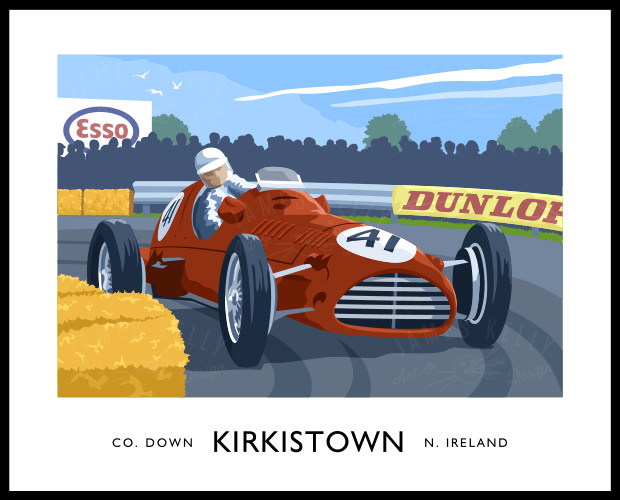 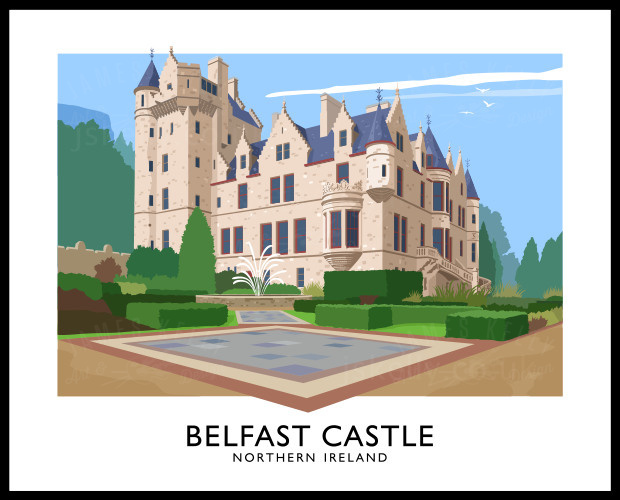 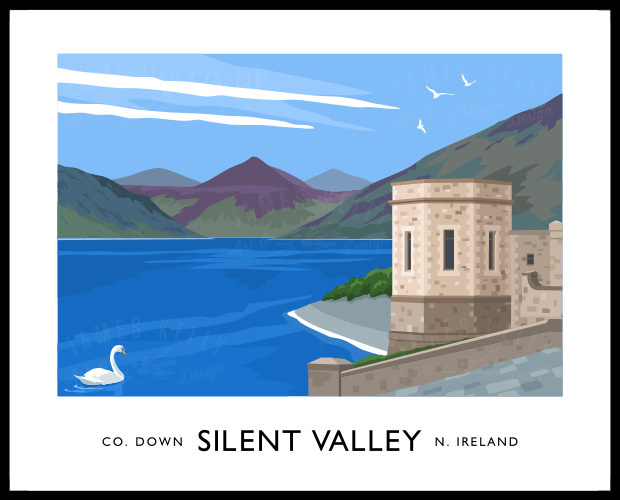 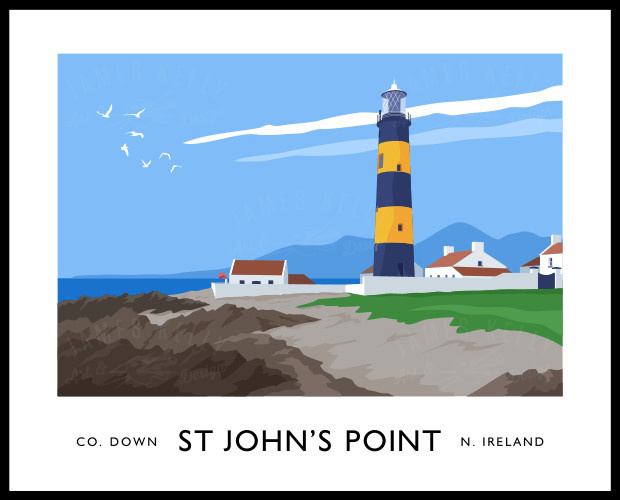 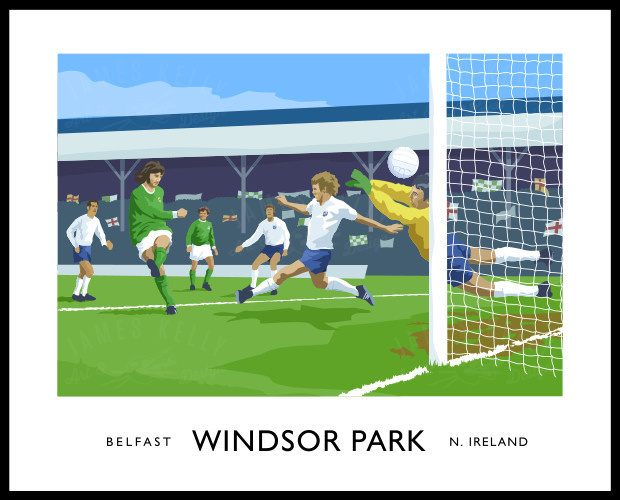 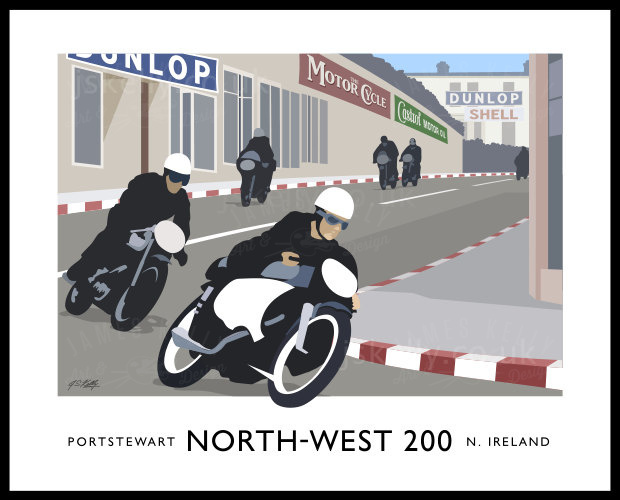 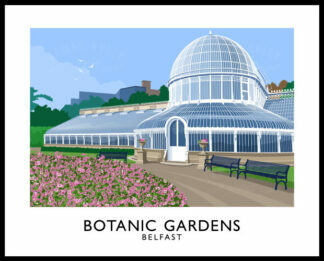 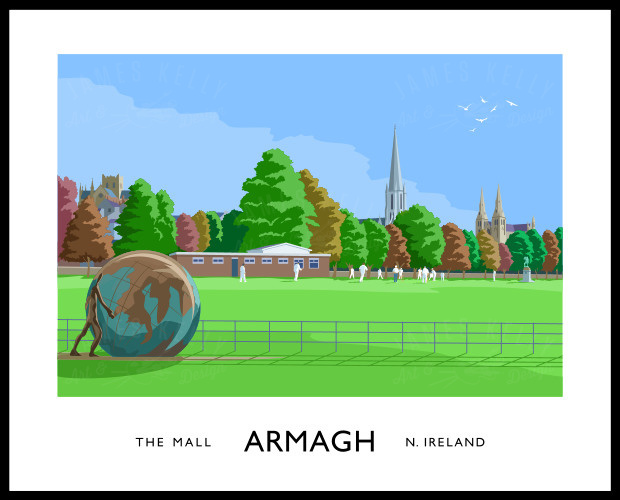 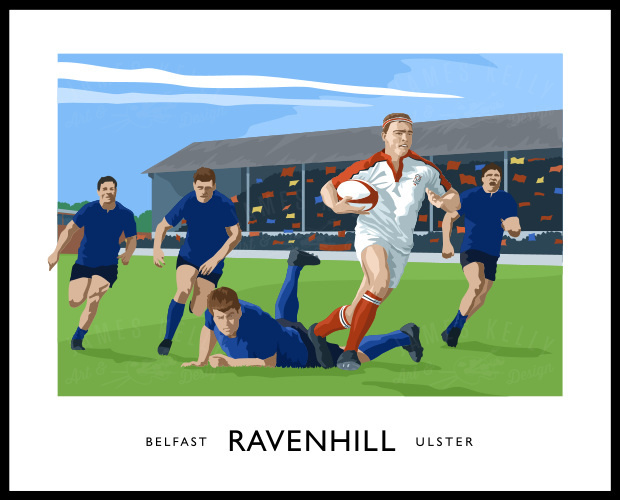 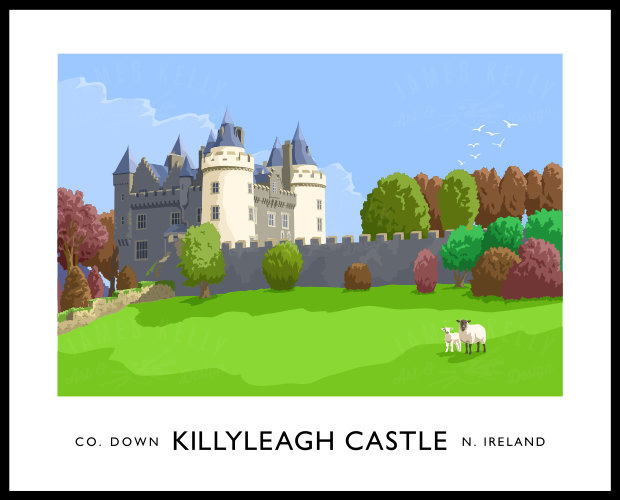 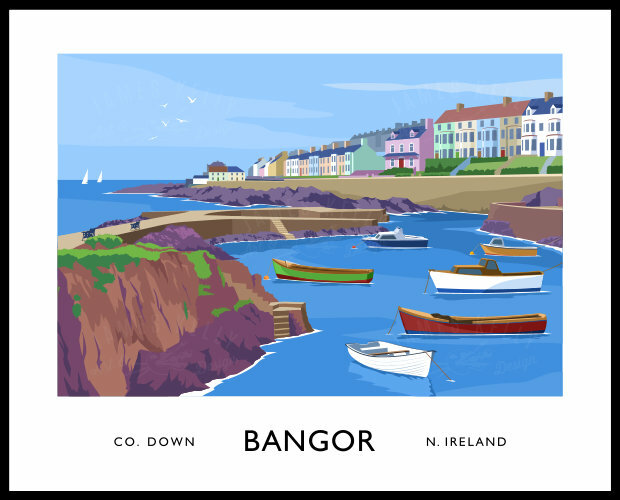 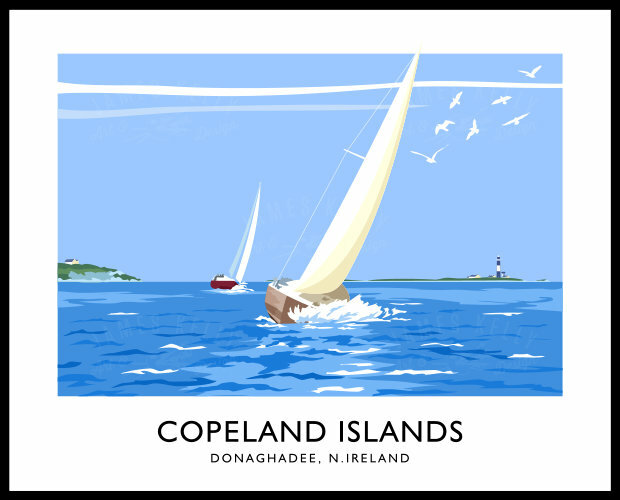 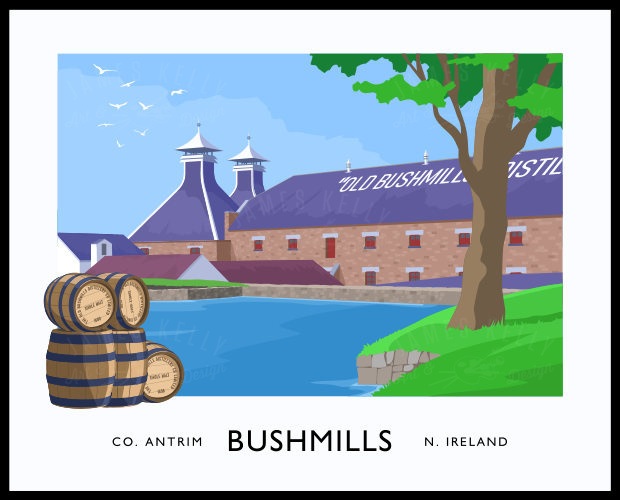 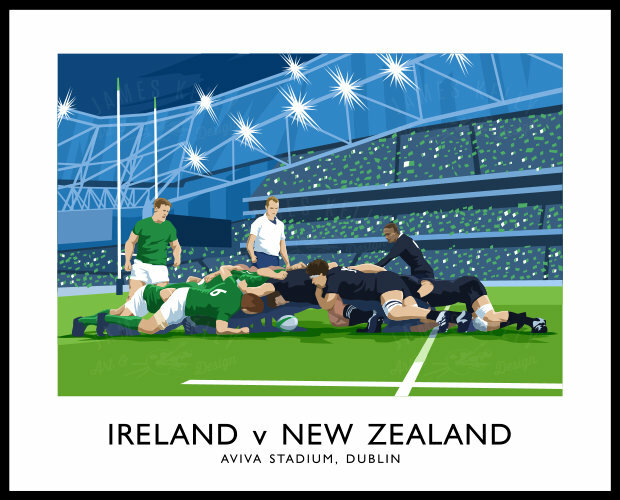 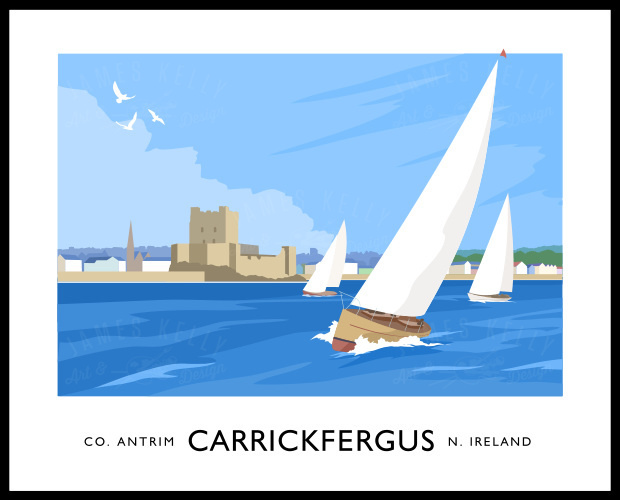 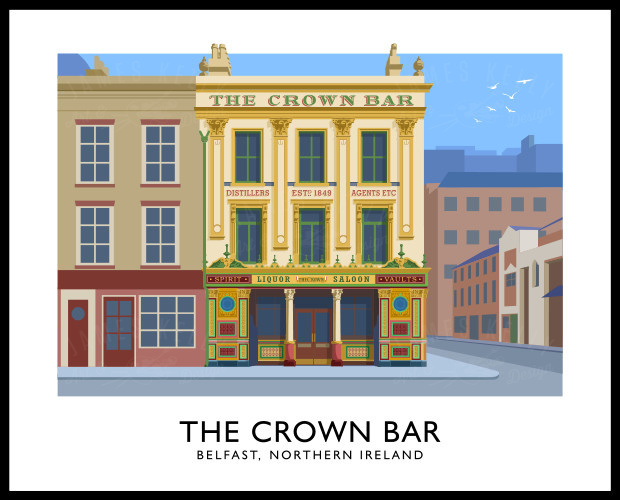 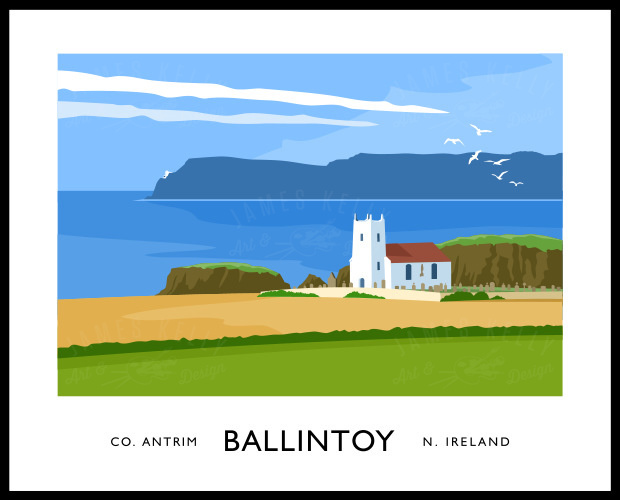 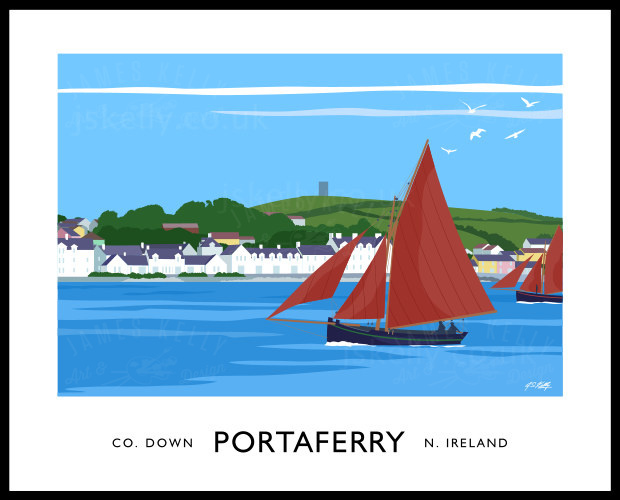 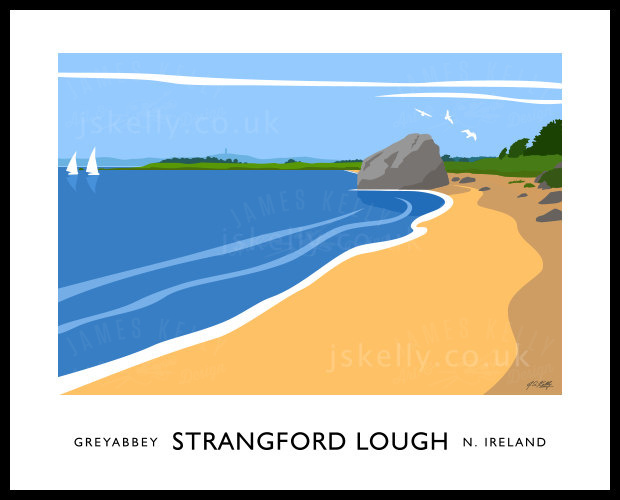 A vintage style art print of the Downpatrick skyline. 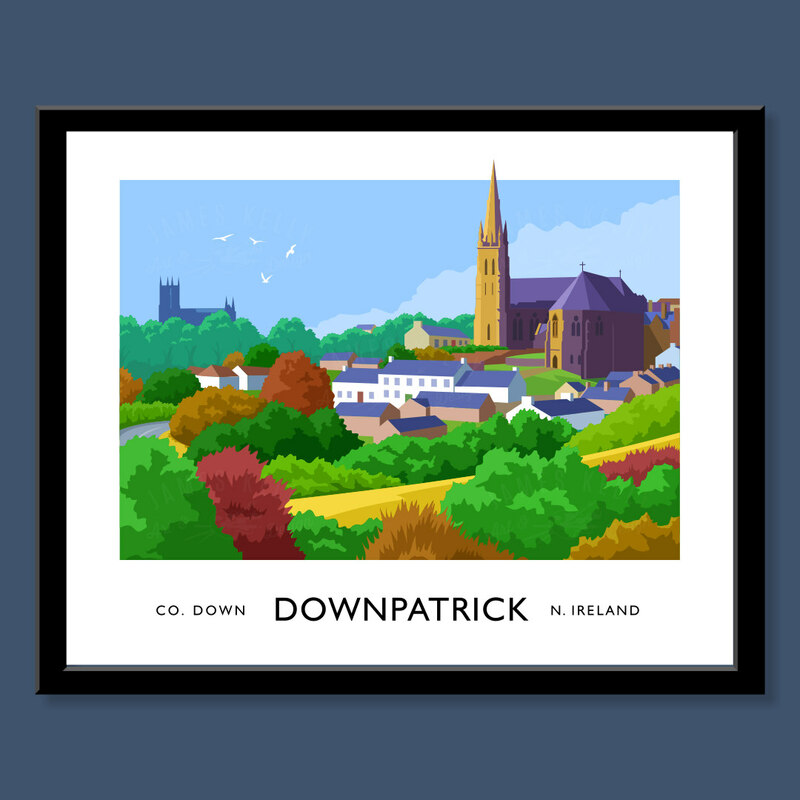 Downpatrick is one of Ireland’s most ancient and historic towns. 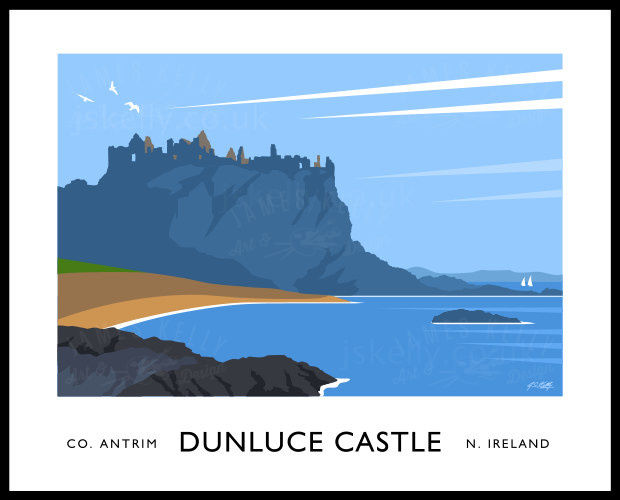 It takes its name from a dún (fort), which once stood on the hill that dominates the town and on which Down Cathedral stands. 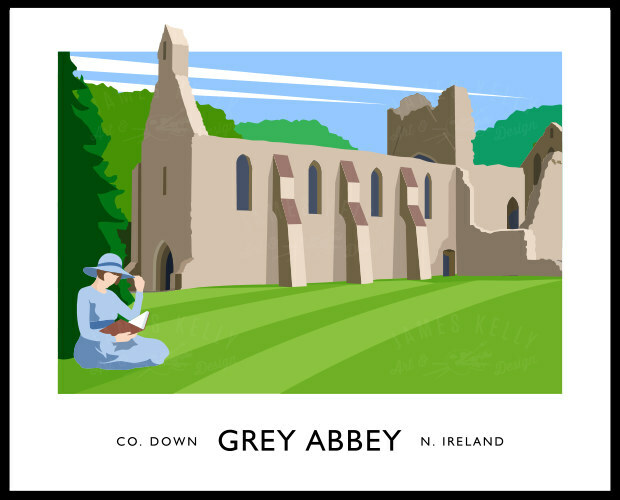 Down Cathedral dates from the 12th Century, damaged by earthquake in 1245 & burnt by Edward Bruce in 1315 it was rebuilt & destroyed several times. 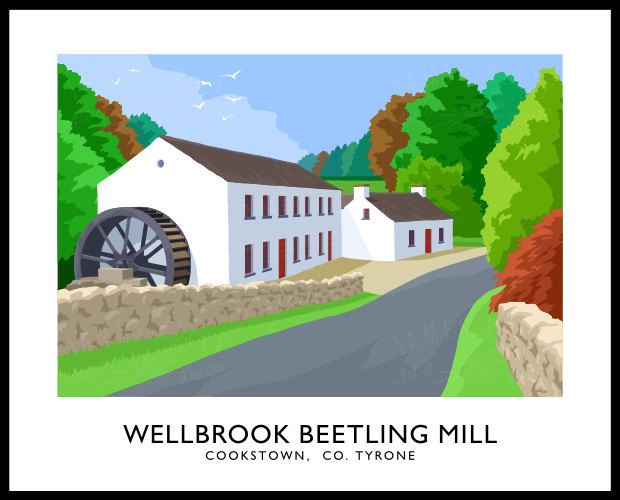 The restoration was initiated in 1790 by Charles Lilly & completed in 1818. The reputed burial place of St Patrick is marked in the grave yard here, also that of St Brigid & St Columbus.